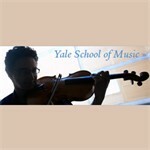 The Yale School of Music presents the winners of its annual chamber music competition in a concert on the Oneppo Chamber Music Series on Tuesday, May 1. This year’s concert presents a diverse selection of music from Johannes Brahms to John Cage, featuring strings, winds, piano, and percussion. The concert begins at 8 pm in Morse Recital Hall. The concert will open with Cage’s Third Construction, written in 1941 for a vast variety of Western and international instruments as well as everyday items like tin cans and a conch shell. This performance will feature the quartet of Jonny Allen, Victor Caccese, Michael Compitello, and Cristobal Gajardo. Next on the program is the thirteen-minute Trio for clarinet, viola, and piano by Australian composer Roger Smalley, performed by Ashley Smith, clarinet; Leonard Chiang, viola; and Naomi Woo, piano. The second half of the concert will open with Richard Strauss’s lively Till Eulenspiegel, in a chamber arrangement by Franz Hasenohrl. The performers are Igal Levin, clarinet; Cordelia Paw, violin; Yuki Katayama, bassoon; Ian Petruzzi, horn; and Matthew Rosenthal, bass. The evening will close with the Brahms Piano Trio in C major, Op. 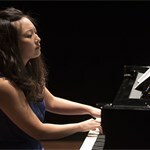 87, performed by Victor Fournelle-Blaine, violin; Haeyoon Shin, cello; and Charles Richard-Hamelin, piano. This concert is presented by the Oneppo Chamber Music Series, directed by David Shifrin. Morse Recital Hall is located in Sprague Hall at 470 College Street (corner of Wall Street), New Haven. Tickets are $10–$15, $5 with student ID. 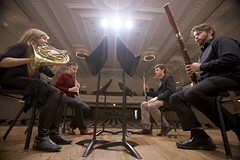 For more information or to purchase tickets, visit music.yale.edu or call the Yale School of Music concert office at 203 432-4158.